In our study of lines we work with eleven curves and the straight line, which constitute our basic line vocabulary. Like the colors in a color chart there may be many others in between, but they are similar curves with different proportions. The resting curve stands in a balanced position on its accent, as if resting lightly on a molecule. It should not flatten out. The supporting curve is just the opposite of the resting curve. If you put something on top of this curve—on the accent—it should feel like it is supporting the load, like a bridge. 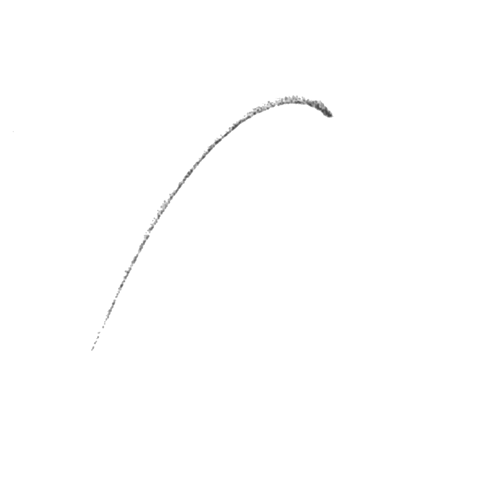 The trajectory curve is like the path of a ball being thrown or a hose emitting a stream of water. It starts straight and very fast, then falls off as the speed diminishes. The hyperbolic curve appears to be similar to the trajectory but is actually quite different in character. It starts out straight and fast but instead of slowly diminishing it turns back toward the source and its energy is concentrated in one spot. The parabolic curve is not the mathematical equivalent of a parabola, but it does resemble one. It’s a combination of the trajectory and the hyperbolic: its accent is not as strong as the former or as open as the latter. It is a good curve to use in large-volume, organic forms. When we first began discussing these lines we called it the General Motors curve because, in those days, all fenders looked like that. Actually, it shouldn’t be symmetrical—that is, it shouldn’t expand equally like a sphere, but should have a little accent. The reverse curve is one of the most interesting. It resembles the letter S but should have some verve, motion, and style. It’s even more interesting when it has a little diagonal movement. 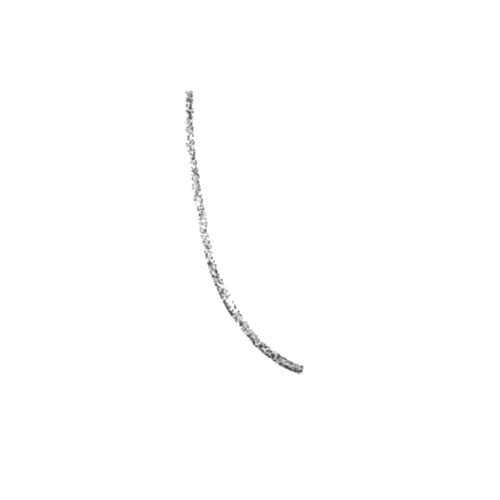 The next three are Directional Curves. The catenary curve is really a gravity curve. It is best demonstrated by a chain. If you hold one end of a chain in each hand the accent is at the lowest point. Move your hands together, you’ll get more of an accent; farther apart and you’ll get less. And you can move the accent from left to right by lowering one side or the other. 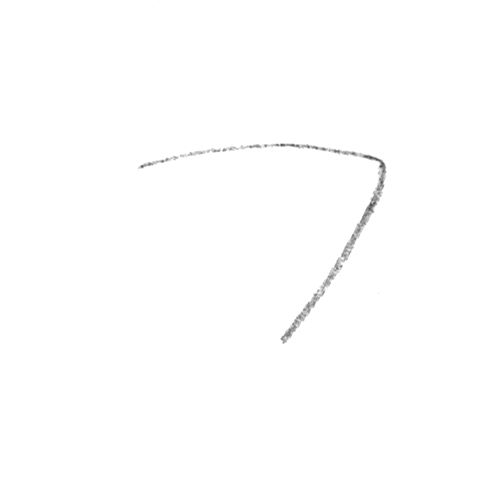 The directional curve points like an arrow. 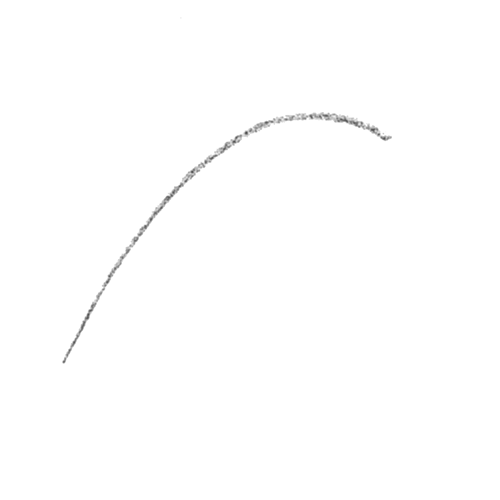 One could say that it’s not a curve at all but a broken line. It has a very strong directional force. 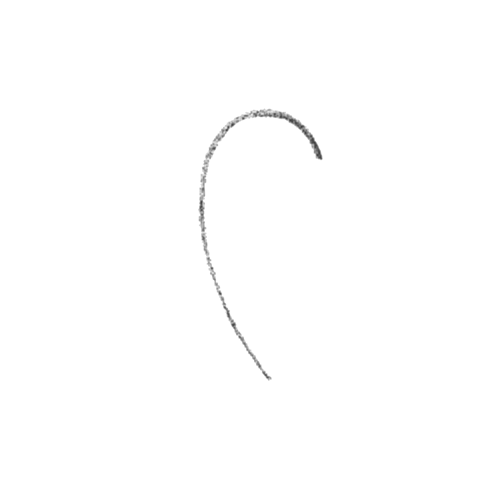 The accented curve is similar to the catenary and directional curves but it is slightly curved at the sides while the others have straight sides. 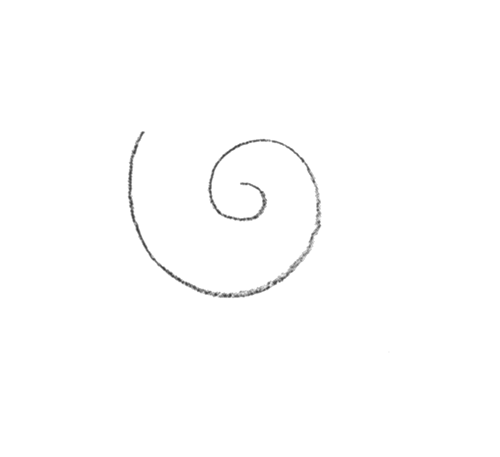 The spiral is hard to combine with other curves. It’s a prima donna. It has so many possible accents, depending on the number of spirals within it, that you can’t define them or create tensions between them. If wound loosely, for example, it looks like a snail. If wound very tightly, it’s almost like a straight line. 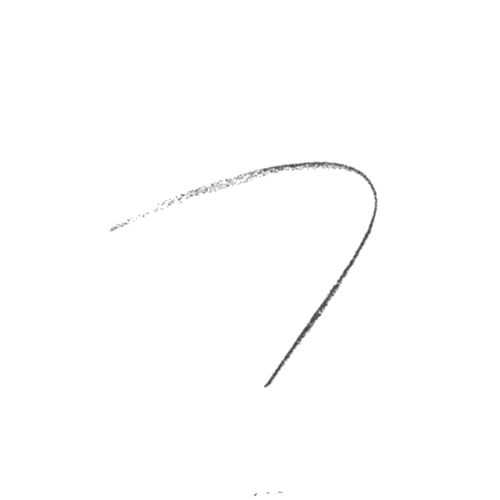 Practice making a variety of curves. 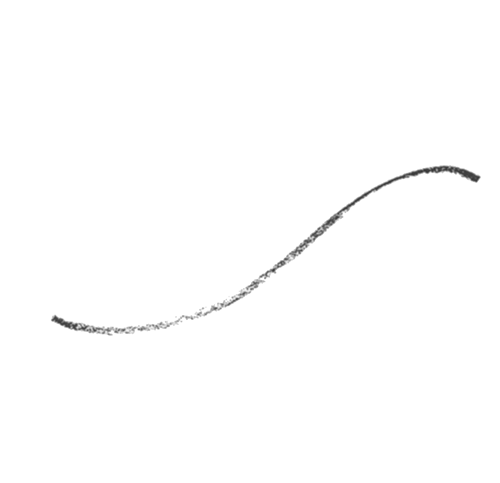 To get a feeling for these curves, you can begin by drawing them. Use news sheets and soft charcoal. Work loosely and as fast as you can, drawing many of each in different proportions. When you get the feel of each of the individual types you are ready to make them in wire. You’ll need 24 gauge copper wire and needle-nose pliers. The copper wire has a good tensional quality, especially after it’s been stretched. Pull a length of wire from the spool using the pliers. Holding the end of the wire with the pliers and the wire at the spool with your hand, pull until the wire is tight. Hold for a moment, pull again to stretch the wire, then cut off the stretched piece. The purpose of this problem is to learn how to move lines in and out of space to the maximum. Move in and out as much as possible in the most three-dimensional way. In order to help you do that I’ve worked out a formula that forces you to use a variety of curves and some straight lines which contrast with the curves to make the problem more interesting. Choose four different curves and two straight lines. Of course, many other combinations are possible but this is a good formula for a first experience. Use contrasting and complementary curves. Divide your lines into two groups—I would suggest you make groups of three. You will mount the two groups on a base and connect the two by soldering to form a single design. Use wood bases (about 1/2” thick), not foam core. You will need the weight of the wood to support the wire. Make a hole with an awl and stick a piece of copper wire into the wood. The wire in your design will solder readily to it and the connection will be almost invisible. Try to keep all your soldering joints very small. Start with a piece of stretched wire about 18” long. You’re going to make three curves with this piece of wire. Don’t start at the bottom and go up. Begin at the top, but do your design in relation to the base. Keep in mind what the bottom will be and trust your intuitive sense of structure to guide you so that when you mount the wire on the board it looks like it will stand up. Don’t start with a neutral curve because that’s not exciting enough. Start with one with character, like a reverse curve. Design your curve, don’t just bend it. 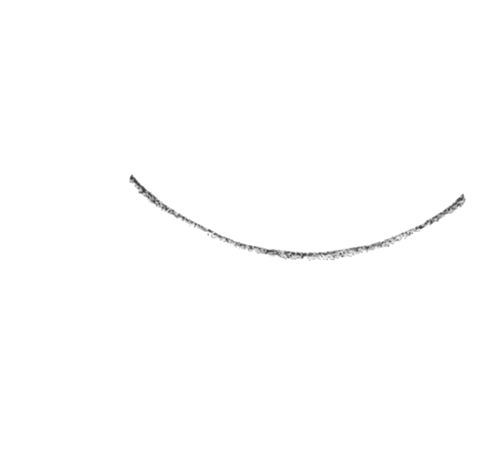 Make a curve that uses the tension of the wire. Don’t torture the wire too much. Each curve should stay in one plane. As it is, with six curves you’ll have six directions. Decide which position your curve will look best in—where it will have the most character and be most lively. Decide on the plane, either at right angles to the base or tipped. 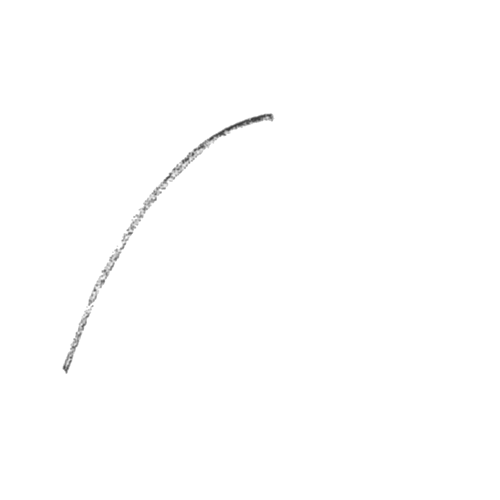 If you’re working with a fast curve remember that if you keep it at right angles you’ll have a fast curve in a static position, which is almost a contradiction in terms. When you’ve made your first curve and you’re ready to make a turn into your next one, hold on to your first curve for dear life and don’t bend your wire by pushing it around. Just make a little angle with your pliers, hold very lightly, and move in another direction. You don’t need to achieve complete balance in this first group of three because you still have the second group to work with. Make your design dramatic.You might go from a reverse curve to a straight line because that’s a good contrast. It’s important to decide how long to make the line. Then move in the opposite direction and make the third curve—perhaps an accented curve—or another curve of your choice. Solder this first design to your base, making it look like the wire is resting on the wood. Now make your second group of three. Design the largest curve in your second group to complement the largest curve in the first group and position them with as much distance between them as possible. Create a tensional relationship between the accents of the two largest curves. It will take you a while to become sensitive to the tensions between curves, but persist. In time you will achieve an instant recognition of the balance of all forces of movement, of all accents. The second group of three curves, when combined with the first, should create a balance of directional forces from all directions. Keep turning the exercise around as you work to see it from all angles. And be sure to look at it from the top! Solder the ends of the first and second group together only when you are satisfied with the design of the second group. Remember, your objective in this problem is to find the most three-dimensional solution. Your lines should not delineate a volume. It’s a common tendency but it’s not appropriate in this exercise. Your lines should look like they move separately in and out of space. 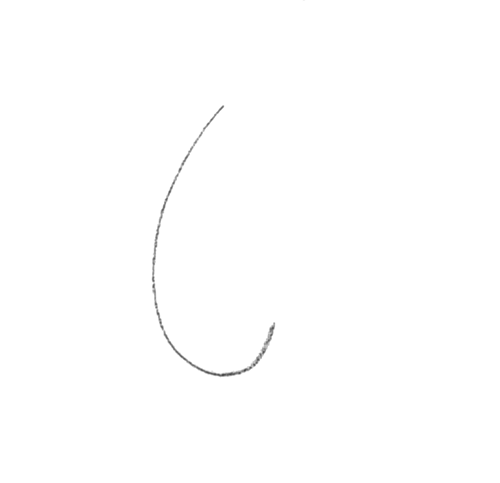 Try to achieve lines that have the force of the curve. They have to move fast enough to support their positions. Avoid lines that look like they’re made of wet string. Beware of a “tweak” in which the end of one curve is the same as the end of the next (like a leaf). It may be decorative but it’s not nice here and in this problem there’s nowhere to hide. All the curves are out there and exposed. Try to stay spontaneous. You can’t do this problem cold-bloodedly. The other problems may be approached in a more formal way but this one can’t be. You have to feel your way. It takes a lot of emotional energy so you might want to do one or two of these exercises every night instead of doing many all at once. This problem is like approaching infinity. You never get there. But the more you try the more uses you’ll find for lines. This problem can be irritating because it looks easy and it’s not. Understanding the wire problem can help you with any three-dimensional organization, if used properly. 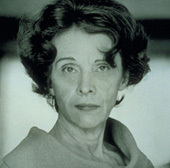 However, it must be understood so well that you do not have to think very much. It can then be used quickly, creatively, emotionally to make proportion sketches, visualize the design of axes and grouping of axes, suggest movement of planes, distort proportions meaningfully, and, in general, establish a very three-dimensional image.